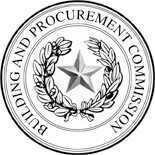 Storage Applications, Inc. is please to be a partner with the State of Texas, its various agencies and contracting programs. Please visit our links to the left for information on our existing contracts and check back often for updates! Storage Applications Inc. is a woman-owned, HUB-certified and DIR contract company dedicated to helping our customers meet their Information Technology requirements. When choosing computing resources, it is important to remember the difference between a skilled integrator and a reseller. An integrator actually custom configures your system to specifications. At Storage Applications Inc, we are solution and customer service focused, not on price only. We also offer refurbished computer equipment from IBM, STK, Quantum, Sun and HP / Compaq / DEC, Liebert, Powerware and many other vendors.And we can offer service on all the products we provide. Our 30 years of experience in mid range to high performance computing, oil, gas and seismic technology, rugged mobile computing and medical imaging solutions separates us from "here today, gone tomorrow" solution providers. Let the experts at SAI help you make the best decision about your IT purchases.